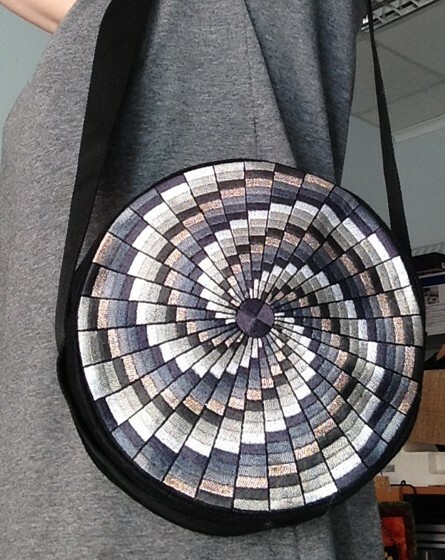 For this stylish shoulder bag, we used the design of Mandala for a commercial size hoop (8" x 12"). 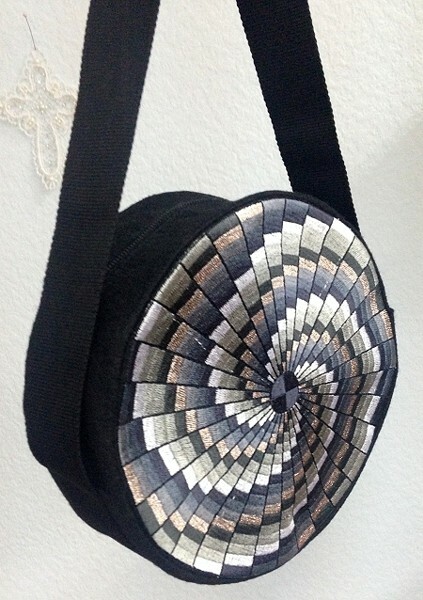 The round shape and geometric pattern gives it an eye-catching modern look. The finished size of the bag is about 9" x 9". 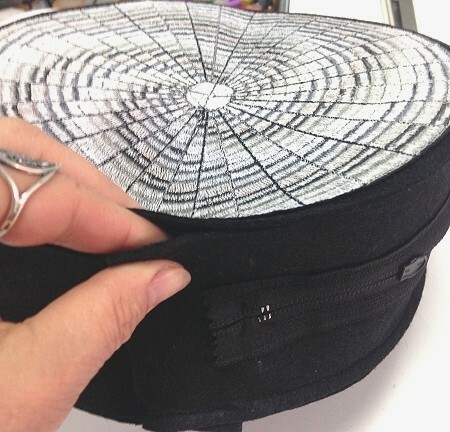 Stabilize a piece of felt with medium-weight iron-on cut-away stabilizer. Hoop it tightly. 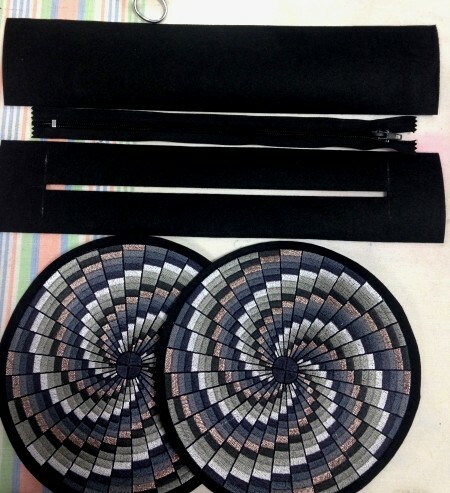 Upload the embroidery file of the Mandala into the machine and embroider it. 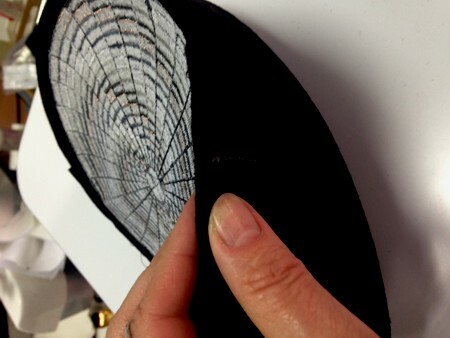 After the embroidery is done, press the stitch-out and cut the fabric around it leaving 3/8" - 1/2" margins. Make the second stitch-out and cut it out like the first one. Out of felt, cut 2 strips measuring 3 1/2" x 14". On one of the strips, cut a narrow slit, about 1/8" x 11". Sew the zipper into the slit on one of the strips. With right sides facing, pin the strip with the zipper along the edges of one of the stitch-outs. Machine-stitch in place, seam allowance 3/8"-1/2". Pin the second strip along the unfinished edge of the same stitch-out. The ends of the two strips should overlap. Pin. 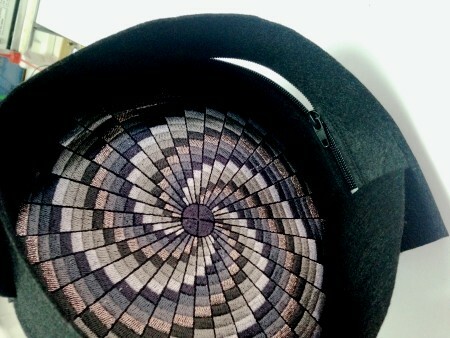 Machine-stitch in place. 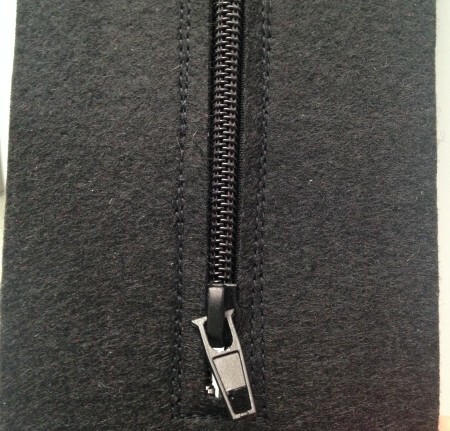 Open the zipper. This is important! Pin, then machine-stitch the second stitch-out to the unfinished edges of the side strips. Turn the bag right side out through the open zipper. 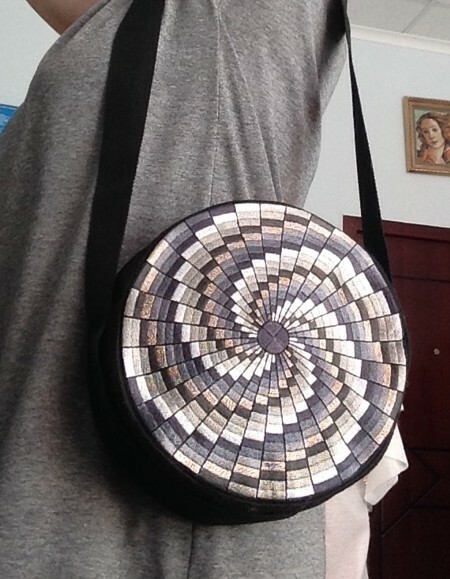 The shoulder bag is done.